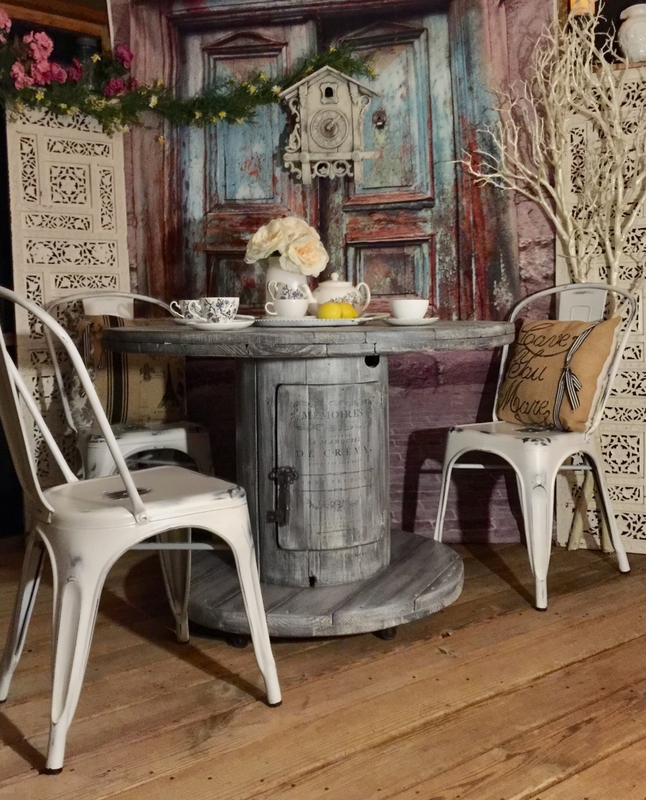 "I sanded a cable spool table then painted it in Queenstown Gray and white wash wood stain both products of General Finishes. with a damp rag blending in colors. I then dry brushed to highlight areas. I applied a French transfer to the top and then sealed it in high performance top coat. I cut the foot out for storage in center of the table. I added another transfer to the door as well. I then used Flat out Flat and then High performance to seal it with. I added rollers to the bottom for easy movement of the table. She's now ready for tea time."